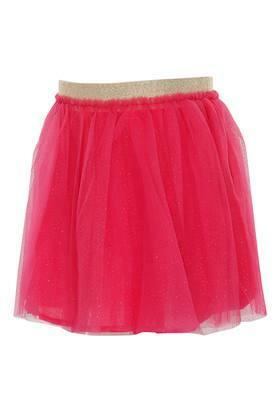 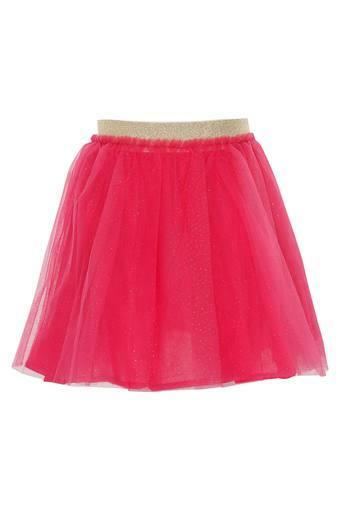 Lend a cute look to your daughter by making her wear this skirt from the coveted brand, Nauti Nati. 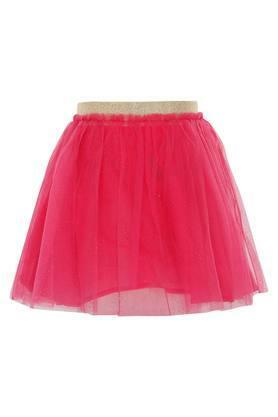 It has an elastic waistband that makes it convenient to wear. It also features an assorted pattern, which renders it fashionable, while the use of a fine quality fabric makes it comfortable to wear. Tailored to perfection, this skirt will make your daughter look adorable and smart. Ideal for casual occasions, it will look good with a top and a matching hairband.